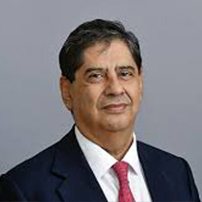 Sarosh Zaiwalla founded Zaiwalla & Co. Solicitors in April 1982 with offices in Chancery Lane, London. He oversees all the activities relating to the firm which over the years has exported millions of pounds’ worth of legal services. Over the years Mr. Zaiwalla has been involved in over 1200 International Energy, Maritime and Construction Arbitrations in London and worldwide either as a solicitor, Counsel, party-appointed Arbitrator or Sole Arbitrator. He has acted for many prestigious clients including the President of India, the Government of the People’s Republic of China (PRC) and the Iranian Government. Mr. Zaiwalla is a Freeman of the City of London and a Livery Man of the Worshipful Company of World Traders. Mr. Zaiwalla was also a member of the International Court of Arbitration of the ICC, Paris, from 1990 to 2002. He is a CEDR (Centre for Effective Dispute Resolution) mediator. Mr Zaiwalla has undertaken several overseas visits as part of the business delegation accompanying the Ministers and the Lord Mayor of the City of London.